LONDON, November 27, 2017 – NewVoiceMedia, a leading global provider of cloud contact centre and inside sales technology that enables businesses to have more successful conversations, has appointed Chris Haggis as senior vice president of customer success to strengthen its customer service delivery and support functions. Based in the UK, Chris will have global responsibility for NewVoiceMedia’s customer success and professional services functions. 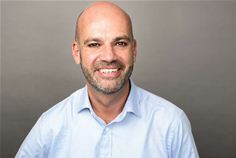 He brings two decades of engineering experience to the role, including more than five years at NewVoiceMedia, joining to establish the company’s global functions for sales engineering, professional services and, most recently, customer success managers. Prior to that, he served as head of E2E engineering at Barclays and services director at Datapoint. The new position is the latest milestone in NewVoiceMedia’s continued rapid global expansion, closely following its reported international bookings growth of 55 percent in FY 2017 and position in the Forbes Cloud 100, the publication’s annual list of the top 100 private cloud companies in the world. The company now serves more than 650 customers spanning six continents including MobileIron, Lumesse, Vax, FlixBus, JustGiving and Canadian Cancer Society. Its cloud contact centre and inside sales platform delivers more successful conversations to help organisations worldwide build a more personal relationship with every customer and prospect. Dennis Fois, president and COO at NewVoiceMedia, commented, “It gives me great pleasure to welcome Chris to this role and congratulate him on his well-deserved promotion. This is a great example of career progression at the company and an important leadership role which will ensure we are truly customer-centric in our delivery and support functions, enabling us to continue our rapid international growth with our customers at the very heart of everything we do. Chris will be extremely valuable to the business as we continue to accelerate the scale of our global operations while ensuring customer satisfaction. We look forward to his contribution to NewVoiceMedia’s future”. Chris added, “I’m very excited to join NewVoiceMedia’s leadership team and support our continued growth while ensuring a smooth transition for our global customer base through the onboarding process and delivery of the best possible customer support”.